On Friday 8th June we were very proud to have a former Mill Lane School child return – now 29 years of age – sporting a Gold Medal. 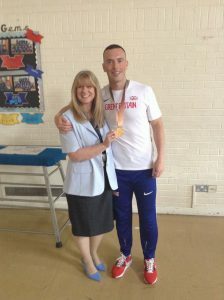 On Friday 8th June we were very proud to have a former Mill Lane School pupil return – now 29 years of age – sporting a Gold Medal. 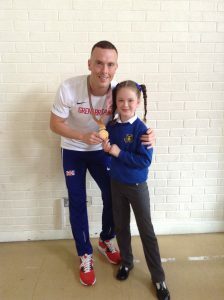 Richard Kilty – Uncle to our very own Olivia, Year 3 – is the 2014 World, and 2015 and 2017 European Indoor 60 metres champion. Nicknamed “The Teesside Tornado” he is a British track and field sprinter who competes in the 60 metres, 100 metres and 200 metres. 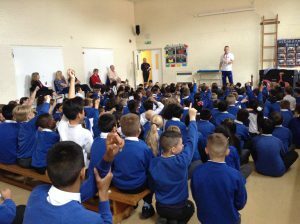 Richard’s inspirational story reflects the positive mind-set approach we instil in our children so they understand that once they have identified a goal if they practise, try hard and make ‘good’ choices’ they can improve and achieve their goals. The fact that he is from Stockton, grew up near Mill Lane and attended our school makes achieving their own dreams more realistic for our children. As part of our PSHCE curriculum we encourage all children to lead a healthy and active lifestyle and teach how important it is to develop a lifelong enthusiasm for sport and physical activity. Richard was accompanied by our Stockton Leisure & Sports Development Co-ordinator Leanne Oxley and Sporty Bear! They have a message for our parents and children. 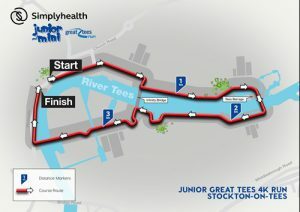 “If you’ve got children between the ages of 3-14 years old with energy to spare, why not head to The Riverside, Stockton on Saturday 8 September for the brand new Simplyhealth Junior and Mini Great Tees Run. The event offers two shorter running routes for budding athletes, school friends and fun runners, with a 2k mini course for participants aged 3-8 and a 4k Junior course for participants aged 9-14. Adults get to run Free with their children. 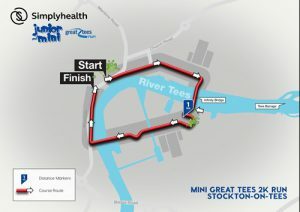 All those taking part will receive their very own running t-shirt, finisher’s pack and all-important medal. Entries for both events are limited, so if you’re interested in taking part make sure you sign up today.